Chief Originals Magnesium Comfort (Magnesium Malate Powder) combines pure magnesium and malic acid to naturally increase energy levels, encourage muscle relaxation and recovery after exertion, and help regulate your metabolism. On a cellular level, magnesium balances out calcium in the cells so both minerals function more effectively, and malic acid helps regulate your metabolism and energy use. Explore More About Chief Originals Magnesium Comfort Now! You can feel good about taking Chief Originals Magnesium Comfort. 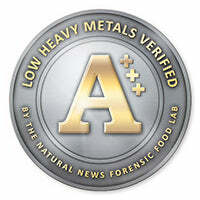 The pure, heavy metals verified, non-GMO formula was made and packaged in the U.S. and verified in the lab for purity and integrity. It's a product you can trust to help relax, energize, and harmonize your body. Chief Originals Magnesium Comfort contains 100% magnesium malate – no fillers, no GMOs, and is China-free. Should be taken with food as it might cause stomach upset, nausea or diarrhea. Intolerance to Magnesium Malate Powder may cause constipation and stomach upset. Please consult with your health care professional before taking if you are pregnant or have any health conditions which you are being treated for.